At Pont Steffan we understand that many people become anxious for different reasons about a trip to the dentist. In fact the British Dental Association says that 1 in 4 of the British population suffer with some sort of anxiety before a dental visit. This is why we have a keen interest in helping and treating nervous patients and why our team are fully trained to be sympathetic and accommodating as well as taking the time to listen and understand your needs. We will always explain to you in a clear way what is happening and answer any questions you have at any point, we want you to feel in control. We pride ourselves on a high standard of patient care not only clinically but also interpersonally, this has proven essential when providing and caring for nervous patients. We feel that people with dental phobias not only deserve to receive dental treatment but also to be offered the time, empathy and care to feel welcomed and relaxed. We aim to eliminate the traditional sights, sounds and smells associated with dental practices as much as possible and are one of a few practices in Wales to tailor our services towards nervous patients. 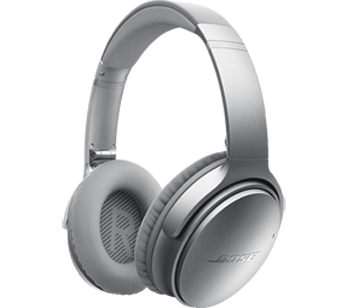 If it is the sounds associated with the dentist that makes you anxious, then these high quality noise cancelling headphones are for you. They operate using bluetooth and you are more than welcome to bring in your own music but don't worry if you forget because we can connect you up to a genre or radio station of your choosing, we also have Amazon Prime Music to allow you to choose any song you may want. These headphones will help drown out any of those dreaded sounds you dislike, just mention to us if you'd like to use them during your appointment and we'll make sure they're charged and ready for you. We understand that even the sight of a dental practice can trigger anxiety, which is way we have tried to make Pont Steffan Dental look homely and warm. Take a look at our pictures. Smell is one of our most powerful memory triggers, which is why we use alternative materials and try to cover up that typical dental practice smell with an array of pleasant reed diffusers. The world's biggest Dental Phobia, Dental Fear and Dental Anxiety Resource. 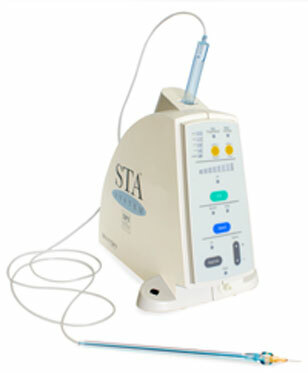 If you suffer from dental anxiety click below for more information and advice. "I feel comfortable and valued and relaxed. There is a nice atmosphere. It is quite homely rather than too clinical or too medical." "Support for nervous patients. Staff always friendly and welcoming. Dentists actually take the time to talk to you about your treatment instead of plunging straight into your mouth!" "Having developed a phobia of dentists due to past unpleasant experiences I was coaxed into visiting this practice when I needed a recent filling. I was seen by dentist Eleri Marks and trainee dental nurse Aimee Standen who listened to and acknowledged my fears and did their utmost to put me at ease. Not only was I treated with compassion, consideration and courtesy but I was made to feel that I was in full control of everything that happened. Thank you for restoring not only my tooth but my faith in dentists. You will be seeing me again.Ha Ha!!"